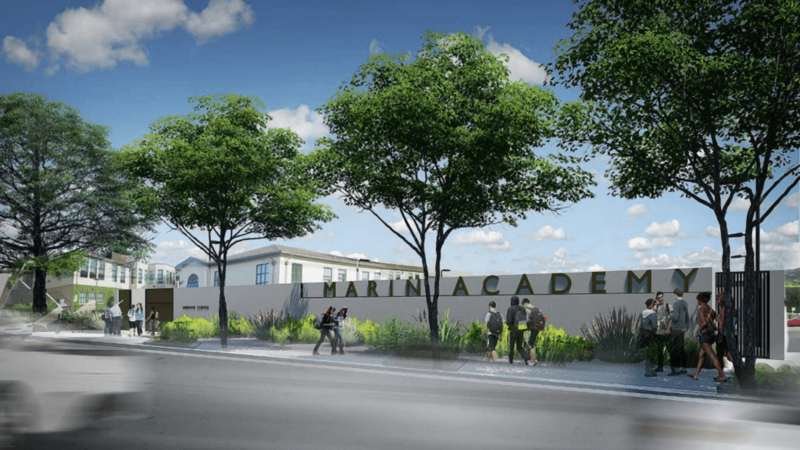 The new Aquatic Center, which further expands Marin Academy’s 10-acre campus to the south-east, will features a 7-foot-deep, 13-lane, 25-yard x 33-meter competitive swimming pool, complete with shallow entry designed to meet current state and local accessibility standards. 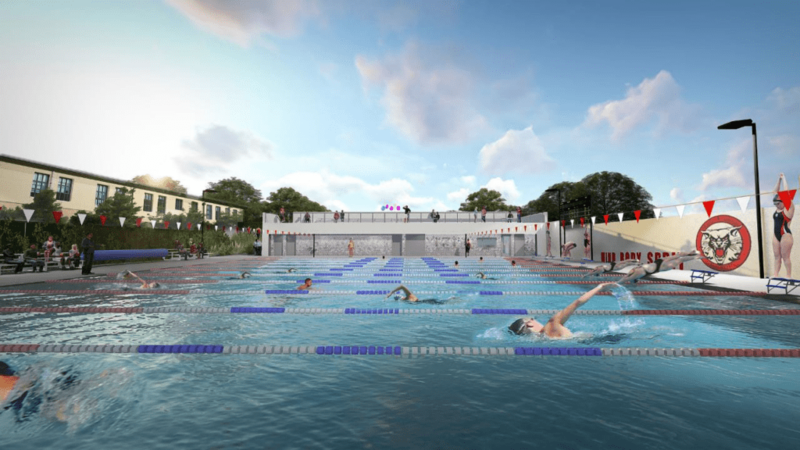 A pool support building houses men’s and women’s bathrooms, locker rooms, and shower facilities, a small office, a gender-neutral bathroom/shower, and includes two sets of stairs and an ADA lift that lead to a second-story outdoor spectator view deck. The project includes the demolition of two existing 1950s-era office buildings that originally occupied the site.